In today's time, its almost impossible to please everyone in your office, some of the people will feel bad about you, however you do anything for them and will create problems for you in your professional life. So, what to do to get success in professional life, check out some astrology remedies by astro uncle. It is difficult to make happy everyone. Some people considered you as good or bad person. If you have cuts under the first finger then you will face problems in office. If there is gap between mind line and life line then you will have conflict in your office. If the under part of middle finger is downward then your colleagues create problems. If there are cuts under the last finger then your subordinates will harass you. 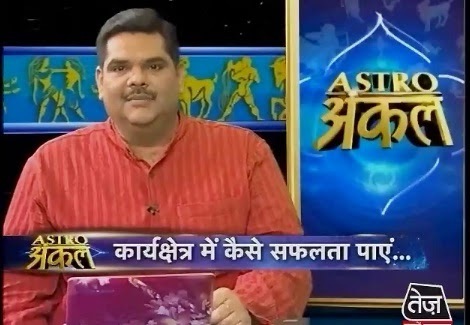 You may have problems in job if there is combination of Rahu-Saturn, Saturn-Sun and Rahu-Ketu. You should increase the working hours. You have to work hard. Do not expect immediate result. You should do work with honesty and alertness. Keep with you the yantra of goddess Baglamukhi tying up in yellow cloth. Always do tilak of turmeric and start work. You can get success in professional life by wearing 7-8 rati’s turquoise in throat or any finger. Due to combination of Rahu-Saturn you speak rough and people opposed you. You can donate rice on Ekadashi, tryodashi or full moon day. Avoid taking banana. Donate guava and pomegranate to poor children on Tuesday. You can get strength and avoid loss by wearing chain from mother on Monday. Do not eat salt on Friday and keep making distance. You should talk politely with everyone. Do not share your personal life with anyone. Donate kheer on full moon day. Keep it in moonlight on full moon day and donate it in the next morning. You should eat little kheer on your own. You can wear Rudraksh. If possible then you can wear gold sun. Take water from graveyard and keep it in your worship place. When your enemies become strong then you can donate chain of moonga to your idol or purohit. To get success you should do “Om Brum Bruhaspatey Namah”. Donate turmeric-rice or turmeric-jaggery regularly. Extra Remedy: You can wear copper ring in fourth finger. You should drink more water and take medical advice.